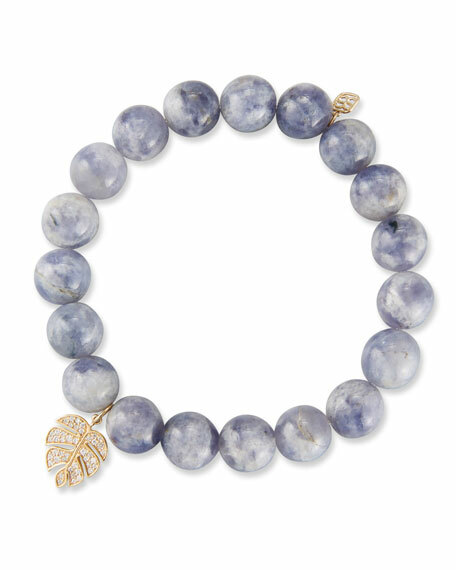 Sydney Evan iolite bracelet with monstera leaf. 14-karat yellow gold monstera and logo charms. 10mm smooth round multihued blue iolite beads. Monstera leaf charm with diamond pavé. 0.173 total diamond carat weight.